RADAR CHECK: Showers and storms are becoming numerous over the northern half of Alabama this afternoon… heavier storms are producing strong gusty winds, heavy rain, and lots of lightning as they move northeast. Showers and storms will remain possible tonight as the upper ridge over the region continues to slowly weaken. Away from the storms, temperatures have reached the low 90s across Central Alabama this afternoon. TOMORROW/FRIDAY: While the sun will be out at times, we expect scattered to numerous showers and thunderstorms tomorrow and Friday with a moist, unstable airmass in place. Best chance of showers and storms will come from about 1:00 until 11:00 p.m… but we can’t rule out a late night or morning shower. Afternoon highs will drop back into the mid to upper 80s because of the clouds and showers. 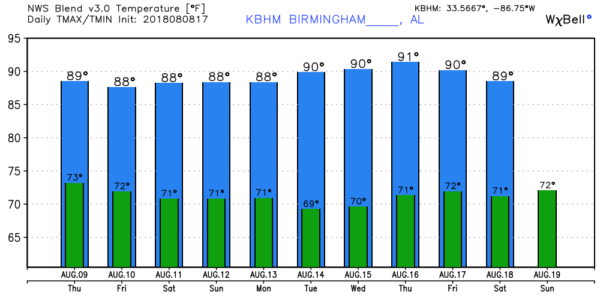 THE ALABAMA WEEKEND: We are forecasting a mix of sun and clouds Saturday and Sunday with the usual chance of “scattered, mostly afternoon and evening showers and thunderstorms”. For those planning outdoor events, understand the storms of summer in Alabama are very random, and there is no way of knowing in advance exactly when and where they pop up. The chance of any one spot getting wet both days is about one in three. Highs over the weekend will be in the 88-91 degree range. NEXT WEEK: Scattered storms remain possible Monday, but the weather trends a little drier Tuesday and Wednesday with only isolated showers both days. Then, fairly routine weather is expected Thursday and Friday with partly sunny days and the chance of a pop up storm during the afternoon/evening hours. Highs much of the week will be close to 90… see the Weather Xtreme video for maps, graphics, and more details. TROPICS: Tropical Storm Debby features winds of 45 mph in the North Atlantic. The system is far from land, and it is expected to dissipate tomorrow. 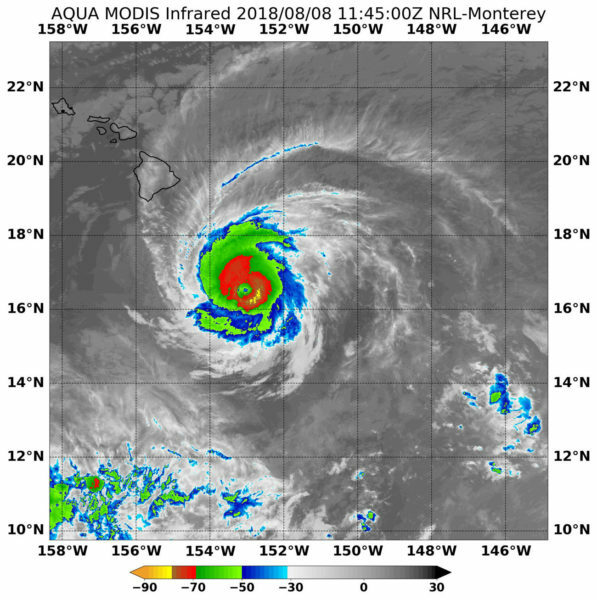 Over in the Pacific, Hurricane Hector, with winds of 120 mph, is passing south of the Big Island of Hawaii.